and financial services in the Cornwall region. 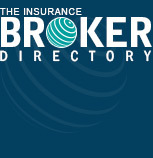 Jacksons were founded in 1923 and operates as an independent insurance and risk management brokerage. We have a long tradition of high quality service and expertise in both commercial and personal insurance, ensuring you receive personal attention and a service you can trust and rely on.